Should a storm or leak cause problems at home, call the water damage Drexel Heights experts from 911 Restoration Tucson so you can get the help you need as soon as possible. Through quick response to your concern, flooding, pipe bursts, or roof leaks are taken care of right away which helps prevent further harm to your home like wood rot or mold growth. Our water damage Drexel Heights team will get the repairs and restorations done in no time. Our water damage Drexel Heights technicians are licensed, insured, and bonded and have the necessary training and equipment that will help resolve any water-caused emergencies which include sewage backups and water heater leaks. Through our expertise, our water damage Drexel Heights technicians can make sure that any water damaged sections of your home are refurbished to look good as new. We will be working with your satisfaction in mind so you and your property can get a fresh start! Your home in Drexel Heights can be exposed to a variety of weather conditions throughout the year. Eventually that exposure can lead to wear and tear that can lead to roof leaks and pipe bursts. 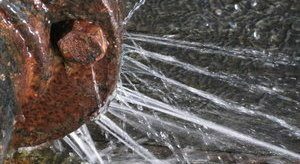 A leak can happen out of nowhere and when this happens our water damage Drexel Heights pros are available 24/7/365 to respond. With our year-round availability, you can rest assured that you get help on the day you need it. 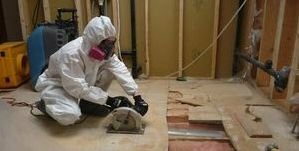 Whatever the issue you’re faced with, 911 Restoration’s IICRC certified water damage Drexel Heights pros will be making use of state-of-the-art drying technology to extract water and remove moisture from your home. Our team will then apply our restoration skills to renovate the damaged areas of your home and make them look good as new. 911 Restoration Tucson is prepared to offer you a quick response to various water damage emergencies. Through our restorations using our advanced equipment, we’ll make sure that you always get a fresh start! Once we arrive, you can expect our team to get right to work on the problem by conducting a free inspection and estimate of your property. This will help us assess the issue and offer you our recommendations. During the inspection, we will also help file your insurance claim with your insurance company. With the comprehensive services and convenience that our work provides, 911 Restoration is the company that you can always count on to patch up those leaks right away! Give our water damage Drexel Heights team a call today!